As much as you like chicken and beef for dinner. Sometimes you just want something different for dinner, give this easy salmon recipe a shot. Cut 4 (18x12 inch) sheets of heavy duty foil, and spray with cooking spray. 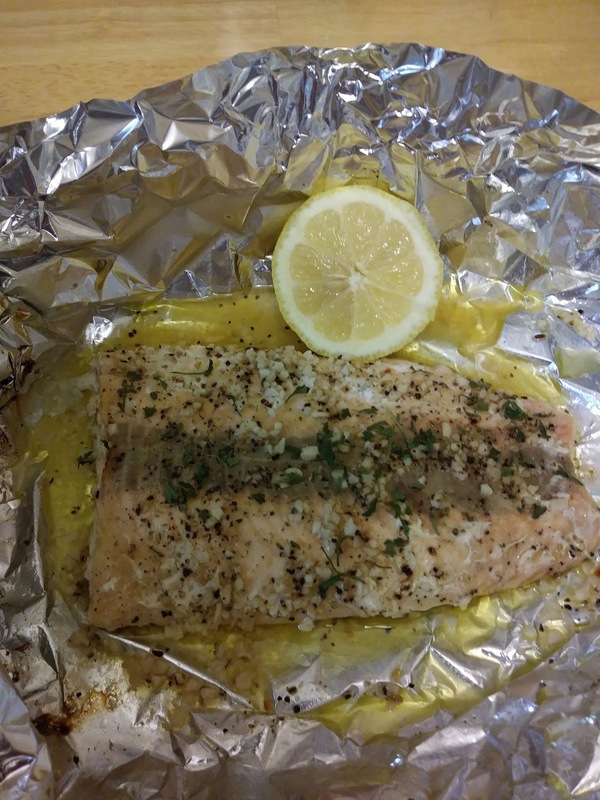 Place 1 salmon fillets on each foil sheet. In a bowl, add lemon juice, minced garlic, melted butter, olive oil and steak seasoning, mix well. Pour over salmon fillets. Add sea salt and cracked pepper. 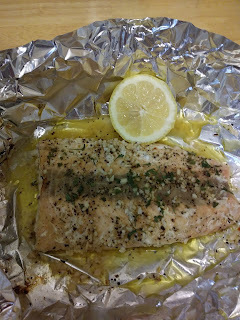 Fold foil around salmon and seal tightly. Bake 15 to 20 minutes, until fish flakes easily with a fork. Love this ! Pinned to our facebook support group ... I can't wait to make this! Let me know how it turns out. Thanks, Claudia! This look so rich and tasty, Christine! Drooling!! Yes, it's delicious! Thanks, Doreen! Looks delicious! Perfect weeknight dinner, and pretty enough to serve to guests, too! I love that it's so easy to make and yet so flavorful without much fuss! Simple sometimes is the best. Thanks!